Home > Staff > Spring Strahm, M.S. 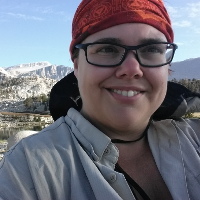 Spring is a conservation ecologist and data analyst with over 15 years of experience in research, data analysis, habitat restoration, ecological monitoring and management of conserved lands in southern California. She has participated in conservation practice as a scientist, land–manager, and consultant, interfacing with NGOs, jurisdictions and government agencies regularly in these capacities. She has been involved in a number of research programs aimed at advancing the use of science in adaptive management and monitoring plans for several Natural Community Conservation Planning or associated programs. In this capacity she trained and managed field crews, performed field work, helped develop and implement novel data analysis strategies and provided practical interpretations of statistical results for end users. Spring developed a conceptual model for the federally threatened and state endangered plant, Deinandra conjugens and facilitated the development of a conceptual model for the coastal sage scrub vegetation community with representatives from NGOs, academic institutions, local jurisdictions and state and federal agencies. She was also involved in advancing the knowledge base about the rare Hermes copper butterfly (Lycena hermes) which is now a candidate for federal listing. CBI, in partnership with USFWS, San Diego Zoo, San Diego State University, Creekside Center for Earth Observation and Recon Environmental Inc, is working towards the recovery of the Quino checkerspot butterfly in San Diego County. CBI and AECOM are coordinating and implementing a regional rare plant monitoring protocol to determine the current status for 27 highly restricted, rare plant species around the San Diego County region.